Department of Health and Human Services has opened up a proposed rule barring discrimination against transgender individuals in health insurance for comments. The Department of Health and Human Services has proposed health insurance rules that would prohibit the discrimination of health care services based a person’s gender identity. The proposed non-discrimination rule would apply nationwide to all health insurance offered through ACA Health Insurance Marketplaces. If the rule is adopted, transgender health related services could not be denied even in states that have not specifically enacted non-discrimination legislation. Click on the Comment Now button link to add your voice to the federal rule making decision. The NPRM seeks comment on a variety of issues to better understand individuals’ experiences with health care discrimination and covered entities’ experiences in complying with federal civil rights laws. The record will be open for 60 days – until November 6, 2015 — for members of the public to provide comments on the proposed rule. OCR will consider those comments as it drafts a final rule to implement Section 1557. The text of the regulation in English is available at https://www.federalregister.gov. Translated summaries of the regulation will be available soon at www.hhs.gov/ocr. If you need the regulation or summary in an alternative format, please call (800) 368-1019 or (800) 537-7697 (TDD) for assistance or email [email protected]. Washington, DC– Today, the Department of Health and Human Services (HHS) issued a proposed rule to advance health equity and reduce disparities in health care. 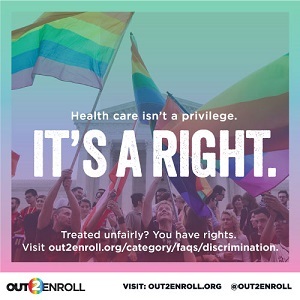 The proposed rule, Nondiscrimination in Health Programs and Activities, will assist some of the populations that have been most vulnerable to discrimination and will help provide those populations equal access to health care and health coverage. For more information, visit: http://www.hhs.gov/ocr/civilrights/understanding/section1557/index.html.